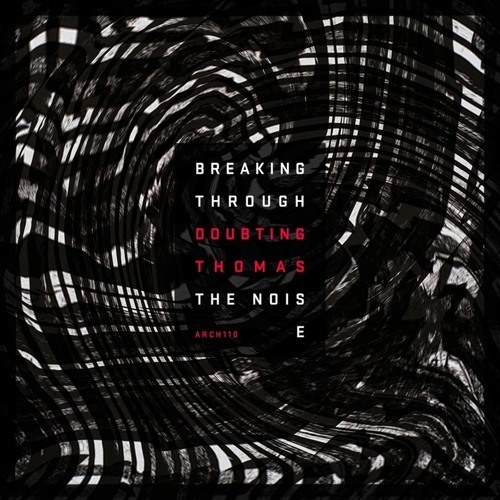 London's DoubtingThomas brings us a heady and frothing asphalt sea called "Breaking Through The Noise". The story begin with "Ribbon" and "Casa De Bas Bun" ripple up the spine with a down and gritty nature which firmly clutches one's neural axons and brings them nearer to each other, shortening synaptic clefts, and thus digging its rolling rhythmic paws into newly formed pathways with which to travel throughout novel unexplored territories of quantum electricity. Again, "1980" and "Little Russian Magnet" travels along a darker and edgier roadway into more spacious rifts of flourishing cerebration, hypnotically whispering sweet mental, flickering and pulsing at auroral speeds, whilst stalker is a warped and arcing speculative spark trapped in the foggy cones cyclical street lamps during an early morning inner city stroll. Comment by 愛L' amour Records愛SOON!! !